Note: This is a chapter from the book I am working on. Hope you like it. 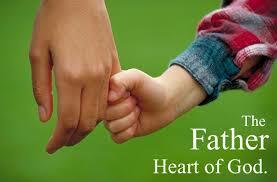 Today we are going to look at another aspect of The Father Heart of God, God your protector. Turn with me if you will to Galatians chapter 3, the 13th and 14th verses. (Gal 3:14 NIV) He redeemed us in order that the blessing given to Abraham might come to the Gentiles through Christ Jesus, so that by faith we might receive the promise of the Spirit. (Gal 3:29 NIV) If you belong to Christ, then you are Abraham’s seed, and heirs according to the promise. They are redeemed from every curse. The blessing of Abraham has come to them. They are the seed of Abraham. (Gal 3:7 NIV) Understand, then, that those who believe are children of Abraham. Tonight, I am going to show you how God your Father is your protector. Yet, this like many other blessings in the Bible, can only be received by faith. How many want God to protect them? Notice this verse, that those who believe are children of Abraham. See it? What I am about to discuss with you is a provision of God that you can have, if you, in child-like trust decide to believe it. There is so much more for every one of us as God’s children as described in these verses. Someday, do an in-depth study on the life of Abraham. Why? Because every blessing God promised to Abraham, God promises to you. If you want an interesting, life-changing Bible study, read Galatians 3, and then the life of Abraham as recorded in Genesis 12-26. Notice as you read, that each time God speaks to Abram, He makes certain promises to him. Galatians three tells us, that all the promises God made to Abraham are ours by divine decree. They belong to you by inheritance. Jesus died to give them to you, but you can only receive them by faith. Now let me show you how God is your protector. Turn with me to Genesis Chapter 15, and let’s read one of the promises God made to Abram. If God was Abram’s shield and exceedingly great reward, and you are blessed with faithful Abraham, then God is your shield and exceedingly great reward. God is your shield and exceedingly great reward! Remember how we discussed that you must see yourself in the Word. Here’s another example of it. Let’s look at a few places where God your shield is recorded in Scripture. Why? Because all the promises of God, are yes and Amen in Jesus. (2 Sam 22:1 NIV) David sang to the LORD the words of this song when the LORD delivered him from the hand of all his enemies and from the hand of Saul. v3 my God is my rock, in whom I take refuge, my shield and the horn of my salvation. He is my stronghold, my refuge and my savior– from violent men you save me. David had learned in battle, that God was with him, and that God Himself was his protector, an actual shield from his enemies. Out of the heart, the mouth speaks, hear these words of David, and choose to understand and believe that the God of David, is your God too. He is with you, and He will protect you. 2 Sam 22:31 “As for God, his way is perfect; the word of the LORD is flawless. He is a shield for all who take refuge in him. 2 Sam 22:36 You give me your shield of victory; you stoop down to make me great. Ps 3:3 But you are a shield around me, O LORD; you bestow glory on me and lift up my head. Ps 7:10 My shield is God Most High, who saves the upright in heart. Psa 18:2 The LORD is my rock, my fortress and my deliverer; my God is my rock, in whom I take refuge. He is my shield and the horn of my salvation, my stronghold. Receive Jesus as your protector, your shield! Ps 18:30 As for God, his way is perfect; the word of the LORD is flawless. He is a shield for all who take refuge in him. Ps 18:35 You give me your shield of victory, and your right hand sustains me; you stoop down to make me great. Psa 84:11 For the LORD God is a sun and shield; the LORD bestows favor and honor; no good thing does he withhold from those whose walk is blameless. Positionally, we are made blameless before God, only by the blood of Jesus. Practically though, we must walk with Him day by day. If we do, He will withhold no good thing! Ps 119:114 You are my refuge and my shield; I have put my hope in your word. Ps 144:2 He is my loving God and my fortress, my stronghold and my deliverer, my shield, in whom I take refuge, who subdues peoples under me. If you ever feel called to lead a ministry or work for God, this is an incredible promise to base you faith upon. You don’t need to rule God’s people with an iron fist, rather like Jesus, simply serve them willing to wash their feet if necessary. God will establish your leadership in the heart of the people you are called to serve, and subdue them under you. Prov 30:5 “Every word of God is flawless; he is a shield to those who take refuge in him. The Bible says, “Out of the mouth of two or three witnesses, let every word be established. I’ve given you all of these verses, not so I can show you how wonderfully the computer can look up verses, but rather so that when you’re home alone, you’re lonely, you’re tired, and the devil tries to mess with your mind, making every little creak in the house sound like an axe-murderer sneaking in at you, you can walk over to your book shelf, pick up this book, and read these out loud for yourself and the devil to hear. These verses, spoken out loud, become the sword of the Spirit for you. The God of Abraham and David is also your God. He’s the ever-living God who ever watches over His word to perform it in the earth. If you see Him as your protector, your shield, and your rock of defense. Guess what? That is exactly what He’ll do for you. No devil, no psycho human, no animal, nor any other thing can harm you, as you rest safe in His arms. Remember, Bible accounts are not just bedtime stories; they actually happened. Imagine yourself in the place of David, running for his life, while king Saul is hunting you like an animal through the mountains. For years! He’d better be trusting God for protection! You can too. He loves you the same. Think about it this way. Jesus has promised you abundant life. The devil wants you dead. What you believe about God and what is going to happen, affects what actually happens. The devil works through the minds of people. So he starts with your mind. He wants you afraid of what he can do, instead of trusting God. So, satan tells you that because you left your old friends, they are going to kill you. Someone is going to grab a pistol and blow you away. You are going to get knifed for leaving. He tells you, “No one leaves this neighbourhood alive.” Pistols, rifles, and knives are simply weapons. The Word of God promises exactly the opposite of what Satan says he is going to do to you. Look at this verse, not only will God cancel weapons formed against you, but He will also deal with the gossip, slander, accusations, and the whispering insinuations Satan inspires others to speak against you. One version of the Bible says that every tongue risen up against thee shall be shown to be in error. Don’t defend yourself, simply pray, trust God, and let God deal with your enemies and critics. You will come out victorious every time. Testimony: There was a man that came to a church I attended that seduced and slept with six young girls from the youth group there. I found about it from one of the youth, and went to the pastor. The pastor did not believe me, because this man was such a soul winner, and seemed to be doing great works for the Lord. The real issue was fear. This man was a body builder who bench-pressed over 700lbs, and who loved to throw his weight around. I confronted him on what he had done in his front hall. He denied it, then threw me through the wall. I had him arrested and he served five years. Word on the street said this man had many friends that were intent on killing me. I believed God’s word during this time that no weapon formed against me would prosper, and not only did God protect me, but I was able to go to the prison minister to the man, and see him restored to the Lord, and eventually married and serving God in a local church. The first time I taught this material, we were contacted by the neighbor of a lady who ran a crack house. We had been praying God shut down the drug trade in our community, and the police had done a wonderful raid there, arresting seventy people. Seems this drug addicted lady had three children, that she had abandoned while high, for three days. The Children’s Aid Society (That’s the Canadian version of DHS) somehow heard about it, and took the children and placed them in a foster home. The lady somehow thought that we had called the police and CAS, so showed up high, with a pistol in hand, waving it around declaring that she was going to kill us that night, if we dared to show up over there to teach. We immediately called for prayer, and stood on the 91st Psalm, and went anyway. She never showed up. Both can be found on Amazon should you wish to get the books. v1 He who dwells in the shelter of the Most High will rest in the shadow of the Almighty. Our prayer: Father, I am committing my life into your hands today, trusting you for protection. Seeking your shelter from the storms of life, hiding within your shadow. God you are my refuge and my fortress, my God in whom I trust. v3 Surely he will save you from the fowler’s snare and from the deadly pestilence. Surely God you save me from all of Satan’s traps, and the plots of men. You protect me from every sickness and disease. v4 He will cover you with his feathers, and under his wings you will find refuge; his faithfulness will be your shield and rampart. You cover me with your feathers, under your wings do I find refuge, your faithfulness is my shield and rampart. I receive your comfort today, and every day for the rest of my life. I thank-you Father that I don’t have to be afraid anymore at night, that I will not have nightmares. That arrows and attacks will not touch me by day. v6 nor the pestilence that stalks in the darkness, nor the plague that destroys at midday. I see sickness for what it is, an enemy. No sickness will touch me and no plague. v7 A thousand may fall at your side, ten thousand at your right hand, but it will not come near you. Even though stuff happens and others go down, it will not come near me. v8 You will only observe with your eyes and see the punishment of the wicked. Though I see others receive punishment, I will not receive it. I have been forgiven, and you protect me. I’ve declared before heaven, hell and people that I belong to God, and that He is my home and refuge. v10 then no harm will befall you, no disaster will come near your tent. For God has commanded His guardian angels concerning me, to protect me everywhere I go. v12 they will lift you up in their hands, so that you will not strike your foot against a stone. v13 You will tread upon the lion and the cobra; you will trample the great lion and the serpent. I have authority over Satan and all of his works, they are under my feet! I trample him and all of his works. v14 “Because he loves me,” says the LORD, “I will rescue him; I will protect him, for he acknowledges my name. God, I do love you, and I believe that you are rescuing me, protecting me, for I acknowledge your name, and the name above every name, Jesus. v15 He will call upon me, and I will answer him; I will be with him in trouble, I will deliver him and honor him. Again, I call upon you, trusting you to answer me. I thank-you Jesus that you never leave me nor forsake with no matter what. You are with me, and you deliver me and honor me. I am not going to die young, but am going to live a long time, for it is written, that with long life you will satisfy me, and show me your salvation. You can pray this prayer every day if you like. I do. Pr18:10 The name of the LORD is a strong tower; the righteous run into it and they are safe. 2 Cor 5:21 God made him who had no sin to be sin for us, so that in him we might become the righteousness of God. God gave you righteousness when you gave your life to Jesus. From His viewpoint, legally, He has accepted the blood of Jesus sacrifice on your behalf. You have been given righteousness, or right standing with God, simply because you trust in what Jesus did on the cross for you. You have been forgiven and adopted into the family of God, and hold royal privilege in prayer because of this. The name of the Lord is Jesus. When you call on the name of the Lord, and trust in Him for protection, God promises that you will be safe. Look at these verses I pray for you every day. (Phil 1:11 NIV) filled with the fruit of righteousness that comes through Jesus Christ–to the glory and praise of God. filled with the fruit of righteousness – If you get filled with the fruit of righteousness, you are going to be pretty bold. Why? Because you will realize the way God sees you is not the way the devil has treated you all of your life. Satan has tried to keep you down, thinking like a slave, so he could continue to rule over you. Yet, you are a child of the king, by royal decree, adopted into the family of Almighty God. Your adoption papers have been signed in the blood of Jesus, and sealed by the Holy Spirit. Whether you realize it or not, you are being groomed for royal rank and position. Training for reigning in the royal service of the King of all kings. Jesus. Got enemies? You need to pray this prayer every day, and trust God to remove them for you. Psalms 4:8 I will both lay me down in peace, and sleep: for thou, LORD, only makest me dwell in safety. You do not need to be afraid, sleep is a gift from God to you. Receive it!